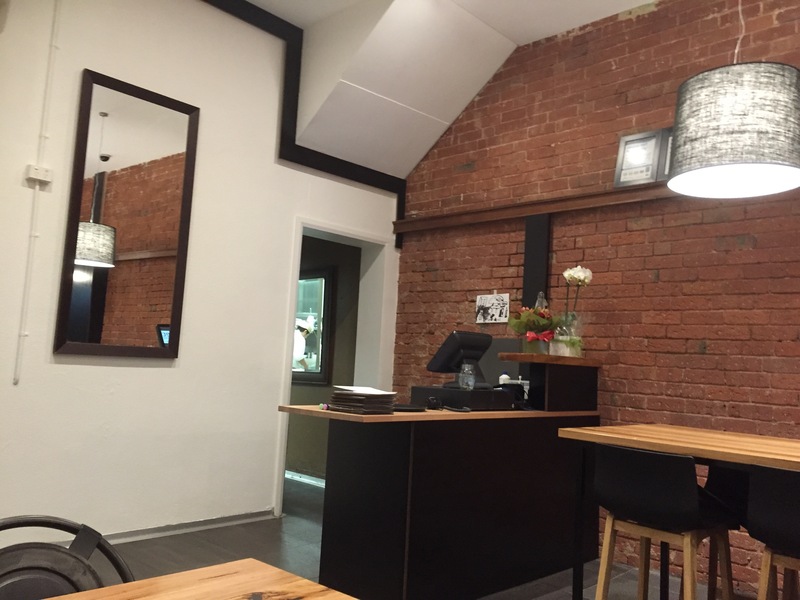 The newest ramen venue on Sydney road has just opened, replacing an older, European style cafe. We had watched the fit out for a few weeks and were desperate to visit and try some ramen when they opened. 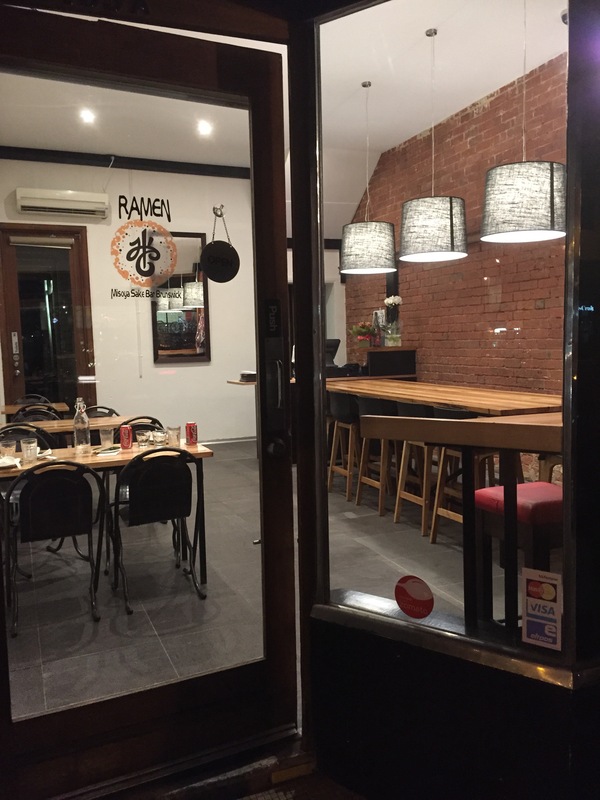 We love the mash of culture and foodie venues along Sydney road and a ramen bar is a perfect new addition to the dining hub in our little part of the world. 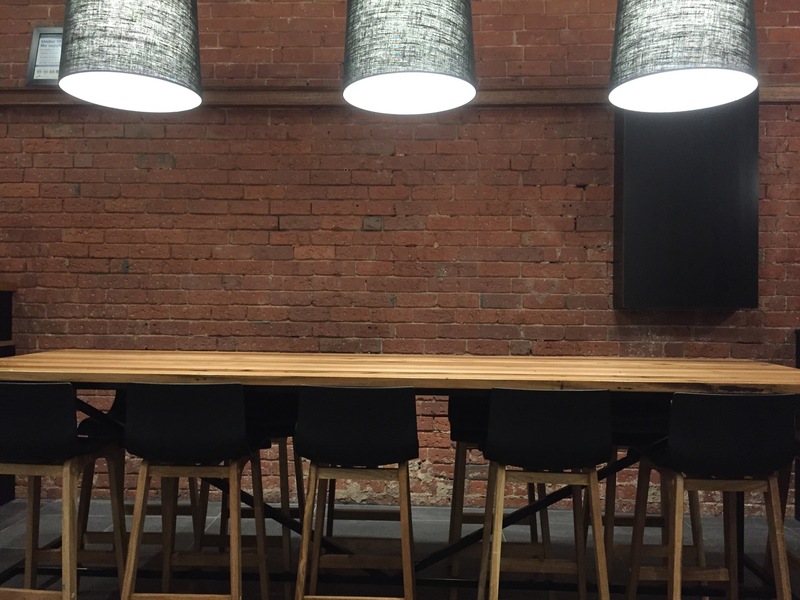 The venue is simply styled and furnished but with a few more diners we can see how it would quickly become a lively and warm venue. The service was eager and attentive, especially given they’d only been open a couple of days when we visited. The menu isn’t large but there’s plenty of options to personalise and build your meal the way you want it. We started with edamame, a charred and salted bean, eaten by biting down and sucking/guiding the bean out of its shell. 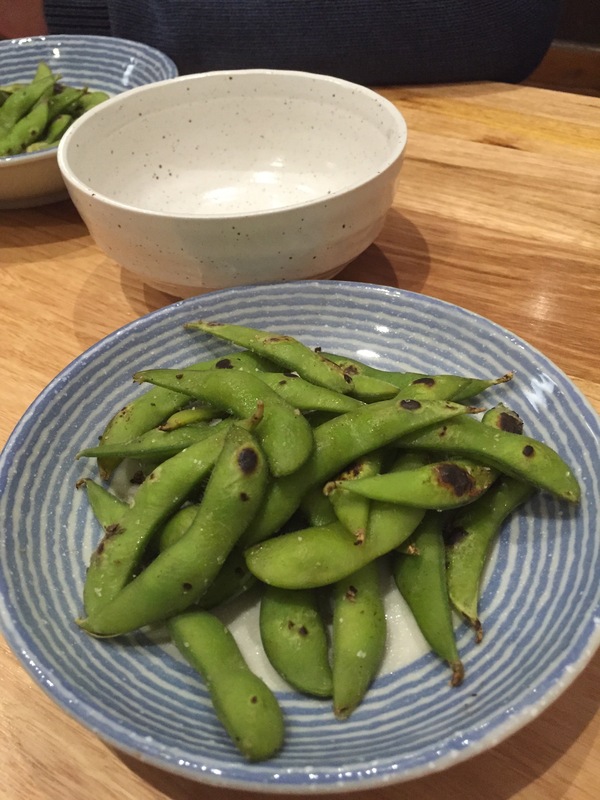 We liked the salty, meaty beans but prefer our edamame with a bit of spice. Chilli salt really gives it that extra hit of flavour! Next up was a vegetable tempura. This dish was a surprising and delightful stand out. The batter was so light, beautifully seasoned and a perfect compliment to the flavourful vegetable. 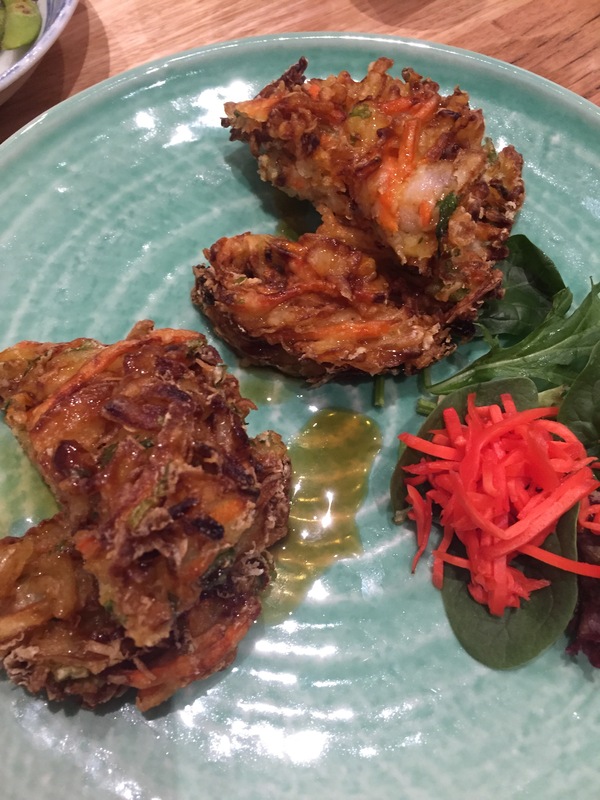 Tempura is not usually a favourite of mine, but this will prompt me to order it more! 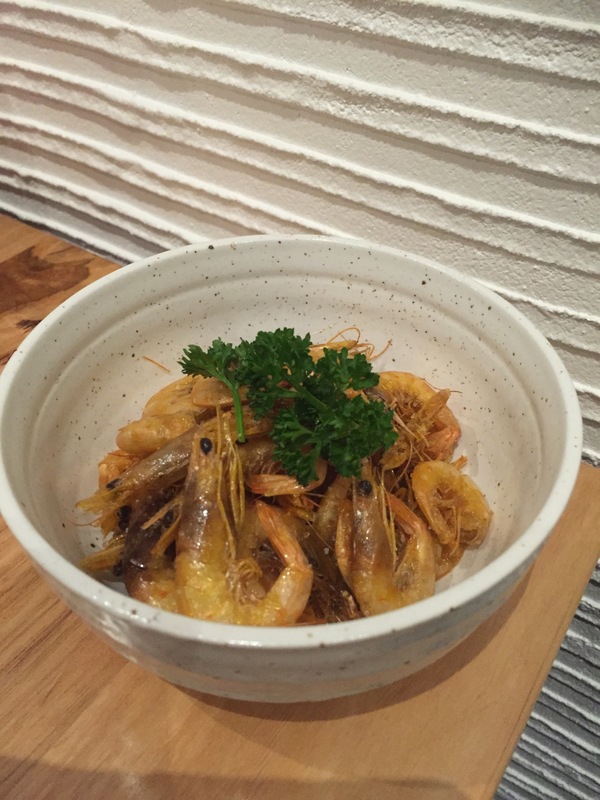 We also tried the crispy fried whole prawns. Once you get over the unusual nature of eating a prawn head and all they become quite moreish. You just reach down and take more of this light, crunchy and salty treat. Finally what we’ve been waiting for, the ramen. I went for a moderately spicy chilli, with chicken slices, kaarage, spring onion and some corn. It was a wonderfully rich and punchy soup, it had a bit of tang and chilli hit, plenty of protein and lots of noodles. 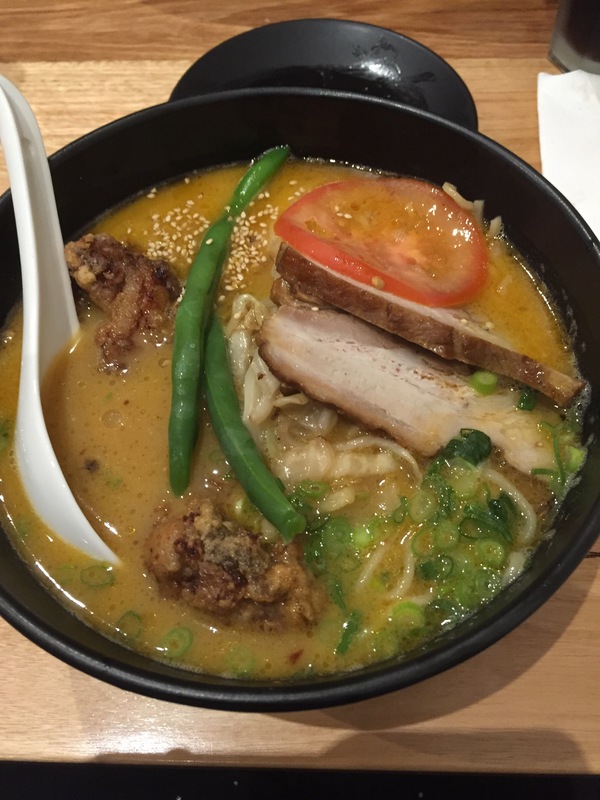 It was a heaving full bowl of noodles and soup and perfect to satisfy the cravings for ramen. We really enjoyed this little spot and will be sure to check back when they’ve had a bit more time to build up their business and menu!